I was looking for a cute idea for my front door this 4th of July season....and I found this star at Kohls for $5. 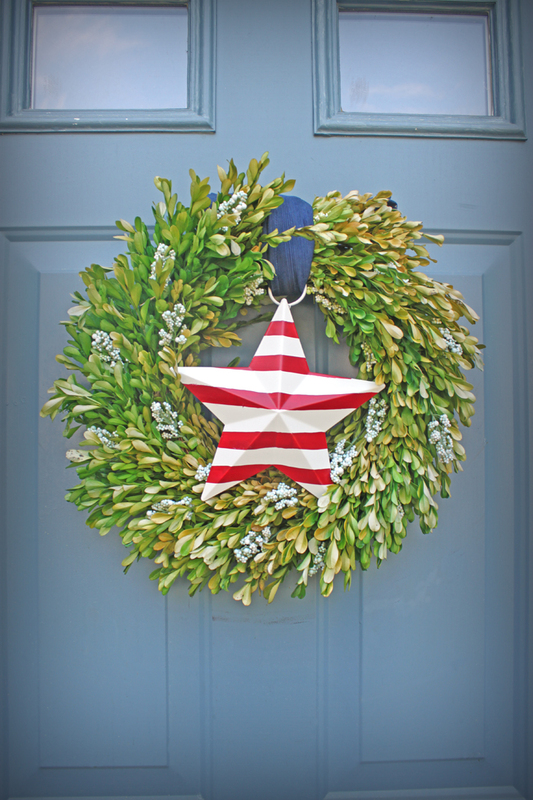 I tied it to my faux-boxwood wreath with a navy cloth (it's a $3 napkin), and gave it a vintage-look. What are some of your patriotic decor ideas?